The Republican National Committee raised nearly three times as much money as the Democratic National Committee in September with $26.2 million in donations compared to the DNC's $9.7 million. The strong September numbers contribute to a similarly dominant third quarter for the RNC, which raised $57 million in the quarter compared to the DNC's $27 million. In the current election cycle, the DNC has only raised $136 million compared to the RNC's $270 million in donations. While many Republican candidates have also raised large sums for their individual campaigns, the RNC has played a major impact in several states, including Nevada. Nevada's top political analyst, Jon Ralston, praised the RNC recently in an interview with the Washington Post, saying the group has "organized better than they have been before." "The Republican Party here has been a compete joke," he added. "But the RNC has been organized. They didn’t do it two months ago, as they’ve tried in the past. They’ve been here for a while." The RNC has worked to organize itself after Barack Obama;s presidential campaigns in focusing on mobilization and voter outreach. During the 2018 cycle, the RNC has employed over 540 paid staff in 28 states, trained over 25,000 Republican Leadership Initiative (RLI) fellows, recruited over 200,000 traditional volunteers, and made over 58 million traditional voter contacts. 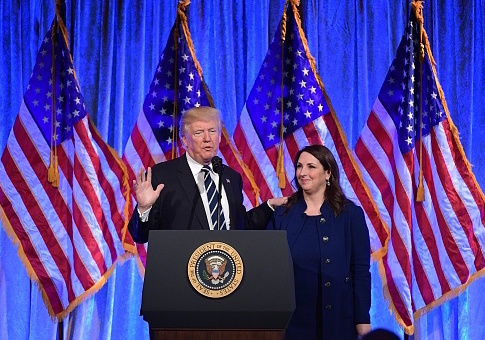 "The Republican National Committee moved in to model their organization on what the Obama campaign did in 2008 and 2012, recruiting and training volunteers to organize in their own communities," RNC spokesman Michael Ahrens said. "They have trained more than 2,000 people in the state — compared with 5,000 nationally in 2016 — and by August had made 1 million contacts, the same amount as they did during the entire 2016 campaign." This entry was posted in Politics and tagged DNC, RNC. Bookmark the permalink.